"So we should directly take to the nine different processes of devotional service, śravaṇaṁ kīrtanaṁ viṣṇoḥ (SB 7.5.23). That we are stressing specifically every time, that hearing about Kṛṣṇa is very important. Śravaṇam. As it is described in the Bhāgavatam, śṛṇvatāṁ sva-kathāḥ kṛṣṇaḥ (SB 1.2.17). Śṛṇvatām. Simply hearing, śṛṇvatām, those who are hearing... Caitanya Mahāprabhu has also recommended, sthāne sthitāḥ śruti-gatāṁ tanu-vāṅ-manobhiḥ (SB 10.14.3). One may stay in his position as a brāhmaṇa, as a kṣatriya, as a vaiśya or as a śūdra. 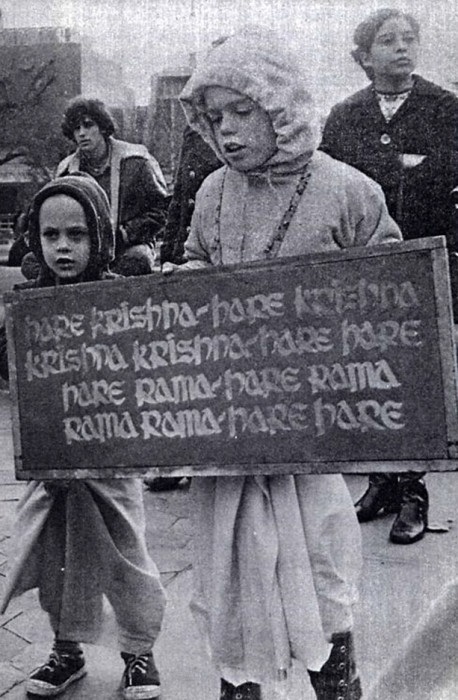 Everyone can hear about Kṛṣṇa. This assembly which we are holding, there is no such thing that only the brāhmaṇas will come here or the kṣatriyas will come here. Anyone can come and hear about Kṛṣṇa. Actually, we cannot accept various path for self-realization. That is not... Sometimes, because we give stress directly to accept this devotional service, people are not very happy that we do not give any importance to the process of jñāna and karma and yoga. We do not condemn, but they're very difficult. The yogic process... Especially in Western countries, they are very much fond of the word yoga. We are therefore publishing this book, Kṛṣṇa Consciousness Is the Topmost Yoga. Actually it is so. So the yoga system or the jñāna system or the karma-kāṇḍa system, we do not make them null and void, but it will be very much slow form of progress. It will take long, long time. Neither it is possible to execute yoga system or karma system very properly in this age. Therefore the best contribution to the people of this age is Kṛṣṇa consciousness. Immediately take to Kṛṣ..., directly take to Kṛṣṇa, and your life will be successful. Kṛṣṇa also says, sarva-dharmān parityajya (BG 18.66). The yoga system, karma system, jñāna system, they may be taken as different types of religious path, but Kṛṣṇa recommends—not only at the present moment, but eternally He recommends—five thousand years ago, He said, sarva-dharmān parityajya mām ekaṁ śaraṇaṁ vraja (BG 18.66). 'I'll give you protection,' ahaṁ tvāṁ sarva-pāpebhyo."